Why do I paint? What an odd question to be confronted with, and even odder that this is the first time in 10 years that it has been asked. This is the query I must answer as part of the application. It’s for one of the better, yet lesser known art sites. I’ve selected it as a venue for my limited edition pieces, partly because of the potential to reach a much larger audience than the one enjoyed by this blog. It’s a selective site, not like Fine Art America, which is open to everyone. It would be a great place to make my art available because it is genuinely intent on building an online community for art lovers . . . it seems to have a following of people who like to collect art, and not just look at it. That’s an important distinction. You see, while I’m grateful for having many encouraging fans who love my art, I know that very few will actually ever buy any of it. After all, for most people art is a luxury item and for so many, spending $500 or more on a limited edition print seems to be a big decision, perhaps out their reach. I fully understand and appreciate that. Back to that original question, I could answer it in a book, but of course I won’t. As with most of life’s questions, the challenge is to find the simplest answer. This one finally came to me last night, while trying to get to sleep. I love the process of creating, and occasionally something selfless happens there, and it is magical, and it has something to do with love. In these moments it’s like being inside the picture, where occasionally there is the giving and receiving of a precious hug. It is warm, it’s real, it’s peaceful and it’s the only thing that makes much sense. On top of that, there is the striving – the dream – to somehow send that hug along in the finished piece. I see that happening more all the time, based on some of the comments and discussions I’ve had with people who love my art, regardless of whether they buy it. That keeps me going, and as I’ve said many times, as in life, art is essentially about love. Finally, here is a preview of my latest completed piece. It touches on the issue of skin color. In a harmonious way, it is also a playful optical illusion. I almost called it “What Color Am I?” but instead the name is, “Color Is Your Friend”. I’m saving it for a later release. Neutral Colors – Available soon in a limited edition. This entry was posted in Art, Fine Art America, Inspiration, love, Uncategorized and tagged Art, Inspiration, Love, mystery on March 10, 2015 by Lawrence Grodecki. The past dozen days or so have been extra-hectic this holiday season. The memorable moments are many, and it’s times like these when I’m tempted to gush over my two daughters. I can’t even start, because if I do I won’t know when to stop! With a lot more company this year, there were only a few private hours most days, and in those times I worked on this new picture (shown at the bottom). This new one is actually a complete redoing of the pair you see at the top of this post. That top left one was done about 7 years ago. I believe it began with the scan of some shiny paper, such as the foil wrap on a chocolate. That’s where it shiny, metallic look comes from. 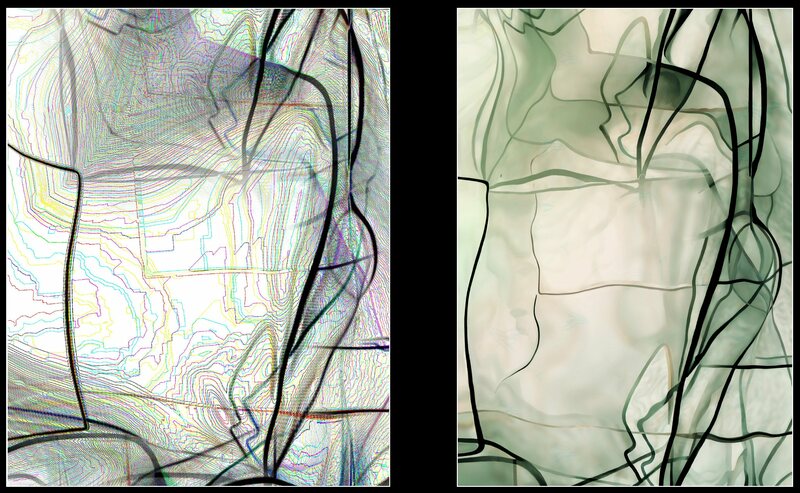 The one on the right is a later rendition of the left one. I love that title. This picture has a lot to say, on many issues, but I’m keeping that private for now. However, this title – Who’s Counting? – speaks volumes. It’s an interesting question to keep in mind while viewing the picture. As in many of my creations, there are several “tiny surprises” in the small details, but you won’t be able to see them here. You can see most of the blending effects though, and visual tricks, such arms that suddenly look like legs . . . or is it legs that appear to be arms? Aside from all that, over the past couple of weeks, while working on this picture, I noticed another change come over me. It happened while on a short break from my art and in a brief online discussion with a fan. She mentioned the passion put into my art. I suddenly realized that this is no longer totally true. It feels like that passion has changed. It’s still there but now it feels like the process of the art has become an inseparable part of me, kind of like breathing or eating or sleeping, just not physical. That’s a very comforting, nice feeling but also a calm one, so I’m not sure the term “passion” fully applies to it. I know that almost sounds spiritual, and I suppose it is . . . I’m just grateful for the change, and for the way this picture came out. As spiritual as that may be, there is also the public side to my art . . . “putting it out there”! Over the past few months, and in discussions with some very talented and experienced art professionals, I’m pretty much convinced that I should offer some of my art in limited editions. They will be signed and numbered. It may be a small run of 25-30 prints. If so, then the pricing will be much higher than my current offerings on FineArtAmerica. That’s why I’m delaying making this picture available for acquisition right away. Who’s Counting – From start to finish. 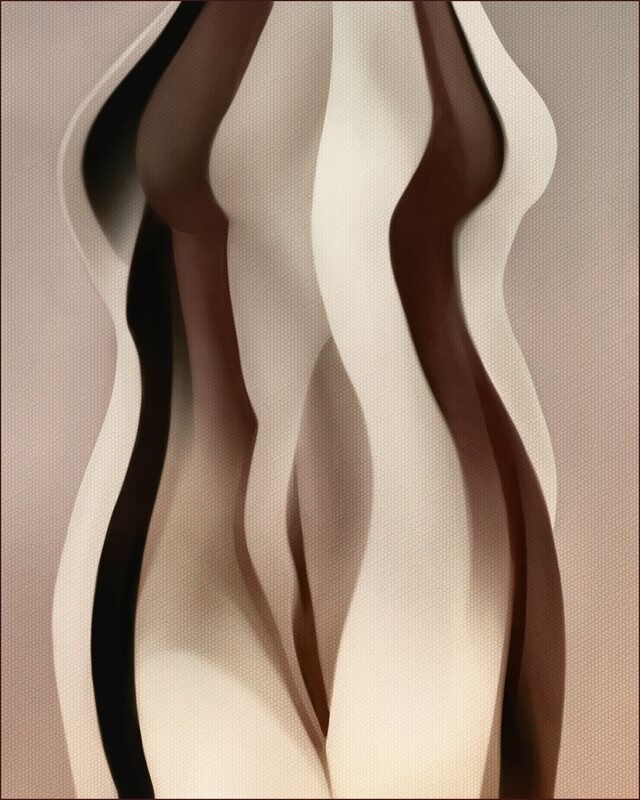 This entry was posted in Art, Fine Art America, Uncategorized and tagged abstract art, Art, Inspiration on January 2, 2015 by Lawrence Grodecki. This post is about today’s release of a new painting, called “I Want to Take You There”. It’s the feature image here. The bright, playful and curvy figures in the center took awhile to complete – a few days of touching up something that had been at rest for several years now. By Friday night the only thing left was to add some sort of background – at that point I really had no idea what that would be. For my backgrounds I often browse through several older creations, picked one or part of one, and then play with it using different effects. If you’re familiar with layering that essentially what I did for this background. Sometimes It can be a very simple process, other times not so easy. No matter what, inevitably there is some tweaking involved . . . altering shapes, redrawing, cropping, colors, contrast and so. If it starts to be a struggle then I’ll stop and reconsider whether I’m on the right path. Over the years that happens often, and that’s when I’ll leave one painting and go on to another. That’s one reason why I have so many unfinished projects. However, more often than not, when I revisit a piece, what was once a struggle can suddenly became an easy labor of love . . . and that’s when something happens . . . I like to call it a little magic. Friday night had its magic moments. When it was finished I posted this painting on Twitter, as I like to do to get some feedback, to get a discussion going. It was a really nice reaction, and especially the exchange I had with a fellow artist who loves my work. She judges a lot of art in various shows, and she commented on how she finds my work hard to respond to, though she loves the “gorgeous complexity”. We also talked a bit about those hard-to-explain moments when something special happens in the process, that little magic . . . the “wow” moments. I look for those moments, but mostly wait for them, and definitely cherish them. She understood exactly what I meant. Finally, often there’s something ephemeral about a piece, something I really want to convey, to somehow pass on to you as a viewer. It is kind of spiritual. We talked a bit about that too, and for some reason it got me thinking about Madonna’s old hit, “Just Like a Prayer”. That link takes to a video of a live performance of her song, and through the course of this viewing, a few minutes before midnight, came the title, “I Want To Take You There”. This entry was posted in Art, Fine Art America, Inspiration, Music and tagged abstract art, Art, Inspiration, Love, mystery on December 15, 2014 by Lawrence Grodecki. You Look Like You’re Looking For $50! I’ve spent the past 3 days revamping my web site on Fine Art America. The galleries have been completely refreshed, much better now . . . you’ll see what I mean if you visit the site. Also, I’ve taken off the smaller print options and added a few larger ones. Each creation is now available in six different image sizes – there used to eight or nine. I’ve also fiddled with the pricing, but nothing major though. In the process, it finally occurred to me how to have a little fun with this holiday craziness, beginning with Cyber Monday. As of today I’ve dropped my price by $50 on select pictures and sizes. Here’s the fun part though . . . the savings will only last until Saturday, December 6th. By Sunday morning I will have taken off these savings, at least most of them – I have no idea which ones will remain! Then for the following week I’ll do something similar. Currently this selection includes twelve of my creations as shown in the list below. These are all from my gallery called “Fan Favorites”. If you click on any of the picture titles, you will be taken to that picture on my site (in a new window). I’ll be letting people know about this offer on Twitter and elsewhere throughout the week, and I do consider this to be one of the few ways to thank you all for tolerating my ramblings, and especially my quirky sense of humor. Now here is the list, by title and then the size where you will find the $50 savings. Important note: For safe Christmas delivery the order deadline is midnight, Dec. 15th. Also, all orders have a 30-day money-back guarantee. This entry was posted in Art, Art Sale, Fine Art America, Uncategorized and tagged abstract art, Art, culture, Fine art Print Sale on November 30, 2014 by Lawrence Grodecki. This is my last “art post” for awhile. It’s about time, or perhaps timing is the better choice of words? I don’t know how many times I’ve been asked in various ways about how long it takes me to create something. Even when not asked, it becomes an awkward aspect of announcing a new project. Incidentally, I’m one of those who agrees with Leonardo da Vinci and many others . . . a work of art is never finished . . . there is some universal truth in that, I’m sure. What is amusing about that is looking at the beginning of a piece. If art has no “ending” then where does it really begin? That can be a fascinating question to tackle. For example, in a way “Rita’s Vision” took me less than a week to complete – sometimes completion feels like a surrender, but a very sweet, peaceful one. But where did this picture start? If you read my my last post, Some Notes on My Art Style, you can see that this picture really began almost 10 years ago, with the collection of some leaves, and then a scan. But then there were many pictures that came out of this scan, and each time something new happens. Something is learned? A style eventually emerges, change happens . . . often unnoticed. There are elements in this picture that were not part of that style ten years ago, so in a way each picture is the result of weeks and months of other pictures. That applies not only directly to the these leaves, but indirectly too – all those other creations that had their influence as well. Let’s not forget that without those leaves none of this would have happened . . . this art. So where did these leaves come from, the first ones? Some may call this philosophical whimsy, but to me it’s not. It’s another example of a prominent theme to my art and novel. Everything blends and time is certainly no exception! I’m going to try to avoid this issue of time in the future (no pun intended). When it comes to art, and especially with art, time really is so irrelevant. Finally, the picture at the top is what I’m playing with now. There’s no name yet – that will come in a different now. By the way, now is my favorite time! This entry was posted in Art, Fine Art America, Nature, Uncategorized and tagged abstract art, Art on November 25, 2014 by Lawrence Grodecki.